(St. Louis, MO – January 20, 2015) – PGAV Destinations has been selected for the design of the relocation of the Big Bear Alpine Zoo (BBAZ), California’s only wild animal rescue and rehabilitation facility of its kind. BBAZ offers a safe haven for injured, orphaned, and imprinted wild animals, aiming to enhance human understanding and respect for the value of our ecosystem. Begun in the aftermath of a 1959 San Bernardino National Forest wild fire, BBAZ is home to a wide range of injured, abandoned, or illegal-pet-recovery animals. 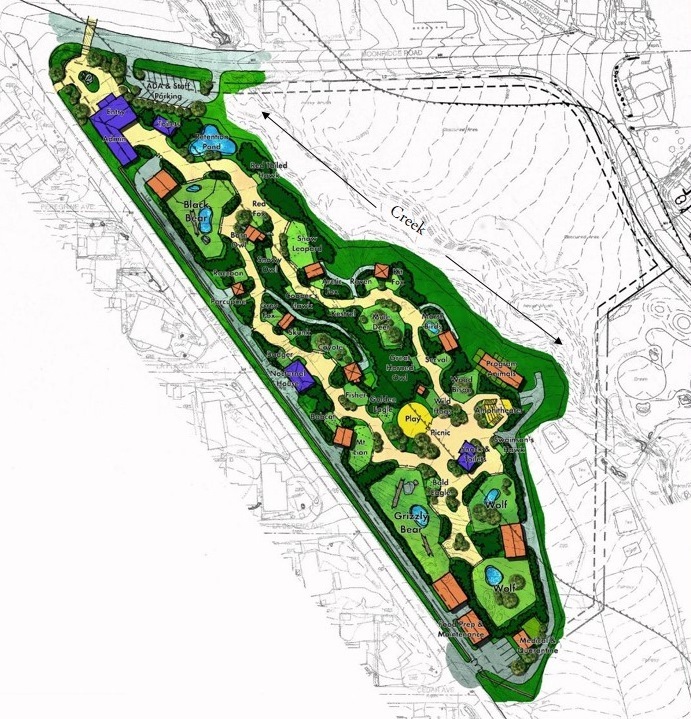 The plan calls for the Zoo to relocate a short distance within the City of Big Bear Lake. The animals suffer from a wide range of challenges, such as injuries sustained from cars and illegal hunting, birth defects (such as the Zoo’s one-eyed snow leopards), or animals orphaned at a young age, unable to return to the wild. Other animals include Huckleberry, the Zoo’s beloved three-legged black bear, more than 30 birds of prey, a family of grizzly bears, two timber wolf packs, a pair of orphaned sibling mountain lions, and many more. PGAV Destinations was chosen based on the firm’s hands-on expertise and extensive history in zoo and destination location designs. 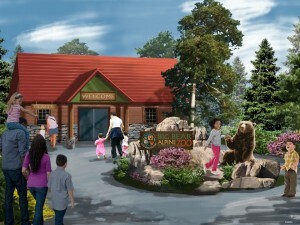 The team will be overseeing the design of the new Zoo’s exhibits, support facilities, interpretation, landscaping, and staff facilities such as ticketing, retail, and offices. One of the most unique challenges of BBAZ’s relocation and redesign is the approach to designing the animals’ exhibits. Whereas normally zoo exhibit designers understand the populations of animals that will reside within the future exhibits, such as “six giraffes, two cheetahs, one hippopotamus, etc,” these exhibits will need to remain flexible, as the nature of BBAZ’s mission mandates a constantly-changing collection of animals. Construction is tentatively scheduled to begin in the Spring 2016! The Big Bear Alpine Zoo is a rehabilitation facility offering injured, orphaned and imprinted wild animals a safe haven; temporarily while they heal or permanently as they are unable to survive on their own. 90% of all animals brought in for rehabilitation are successfully released back into their native environment. Those that remain on exhibit are either too injured or have been imprinted by humans, and cannot be released back into the wild to care for themselves. The development of the new zoo on the proposed relocation site went to the County Board of Supervisors for review on March 25, 2014 and was unanimously approved. The 30 day public review period took place in early 2013 and included an opportunity for local residents to attend an “Open House” style public meeting at which the public reviewed the draft environmental document, viewed the scale model and renderings, and asked questions of project designers and County staff. 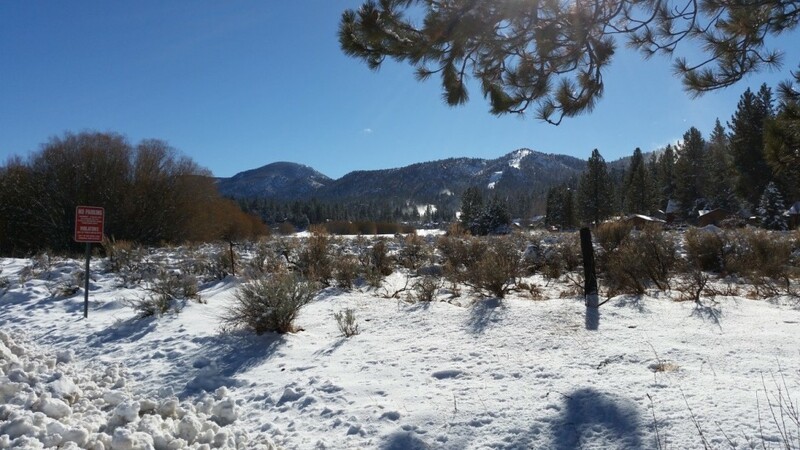 The Zoo relocation project has been a long time collaborative effort of the County Board of Supervisors, Special Districts Department, Park District Administration, Zoo Administration, and Friends of the Big Bear Alpine Zoo. 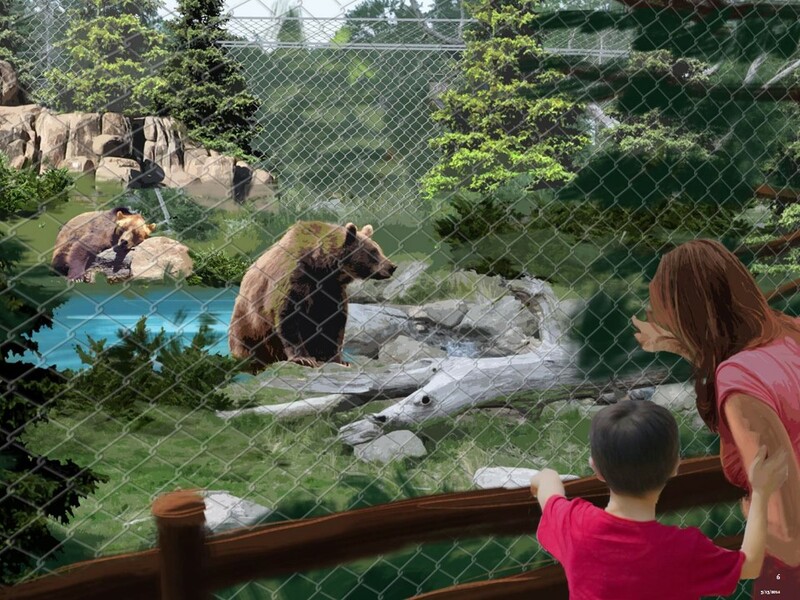 The approved location will enhance the facility in hundreds of ways, and most specifically improve size and quality of inhabitant enclosures, health and welfare of each animal, rehabilitation and release capability, facility awareness, education, and overall visitorship. We hope you’ll join us by supporting this exciting endeavor. Click on the links below to view the full document in PDF format.